Tuberous Sclerosis is a complex multi-system disorder, which produces tuber-like growths on the brain. These calcify with age, and can also be found on other organs including the heart, skin and kidneys. It affects people in many different ways and with varying severity. RareShare is a unique social forum, building communities for patients, families, and healthcare professionals affected by rare disorders. The library at The Brain Charity has a range of resources on Tuberous Sclerosis and on a wide range of disability-related issues. 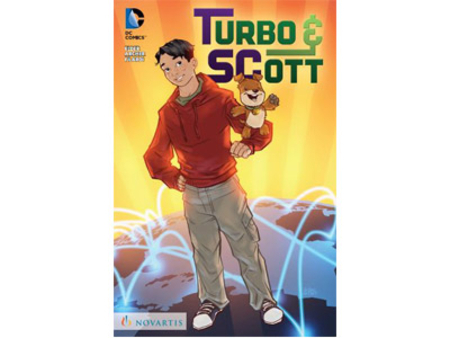 This includes copies of Turbo & Scott, a graphic novel aimed at teenagers.